A preliminary report released by Malaysia’s Transport Ministry reveals that officials didn’t notice for 17 minutes that the missing flight had gone off radar and didn’t activate an official rescue operation until four hours after the disappearance. The five-page report notes that the plane disappeared from radar in Kuala Lumpur at 01:21 local time on March 8. As the plane’s crew should have contacted Ho Chi Minh in Vietnam, Vietnamese air traffic controllers waited 17 minutes before asking Malaysian air traffic control where the plane was. After this, there was a four-hour gap before an official rescue operation was launched. On Tuesday, a Malaysian official said the aircraft could have flown on for another seven-and-a-half hours, meaning that the plane may have been airborne in the four-hour gap, and for two-and-a-half hours after the fruitless search began. There is also confusion surrounding the role of Malaysia’s military on the night of the disappearance. 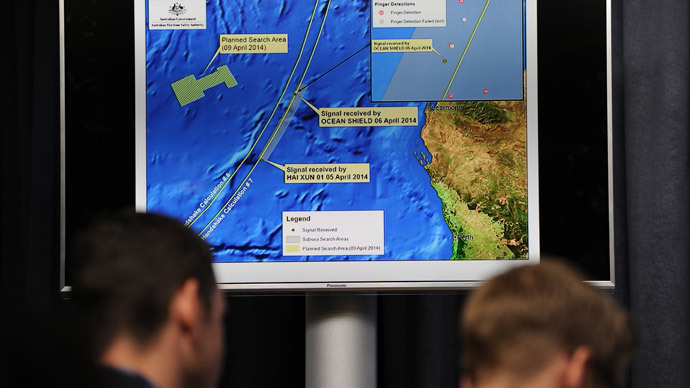 Malaysia's prime minister has said that the military tracked a plane on its radar that may have been flight MH370 as it made a westerly turn and headed back across the Malaysian peninsular. But the report makes no mention of the military at all. Compared to other reports on recent major flight investigations, this one is scant at best. In contrast, the preliminary report into Air France 447 was released one month after the plane disappeared but was 128 pages long. And a preliminary report into the Quantas engine explosion over Singapore in 2010 was more than 40 pages with diagrams and charts. The report makes one safety recommendation, for real-time air tracking to be installed on all commercial aircraft. 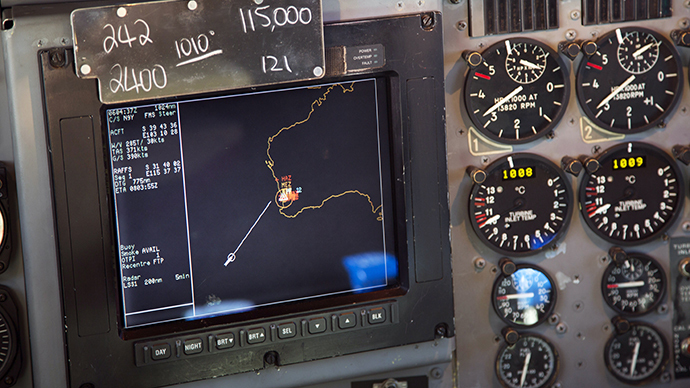 “There have now been two occasions during the last five years when large commercial air transport aircraft have gone missing and their last position was not accurately known. This uncertainty resulted in significant difficulty in locating the aircraft in a timely manner,” the report states. The same recommendation was made after the Air France jet crashed into the Atlantic in 2009, though nothing was done to satisfy the proposal. There is also anger at why Malaysian authorities delayed making their report available to passengers' relatives and the public, even though the same report was delivered to the International Aviation Organization some days ago. Malaysia Airlines has advised the families of passengers to go home, adding that they will receive any further updates by phone or other means. Since the aircraft's disappearance, the airline has been providing hotels for the families. Malaysia Airlines has stated it will close its support centers by May 7, though it will open two different “family support centers” in Beijing and Kuala Lumpur. The airline also announced Thursday that it will start paying advance compensation to MH370 passengers' next-of-kin to help with their immediate economic needs. Where is the plane wreckage? 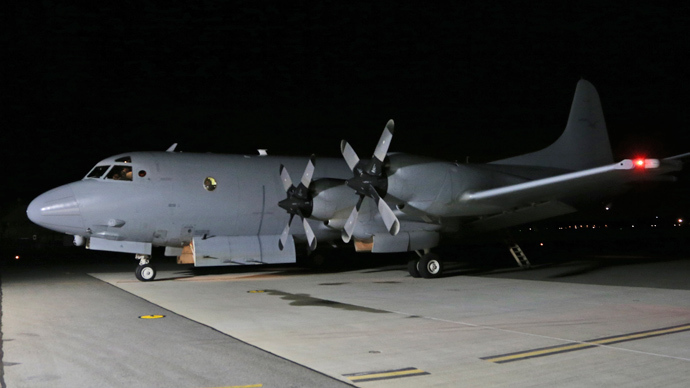 The report's release comes just one day after the large-scale air search – which was being operated out of the Royal Australian Air Force base in Pearce, north of Perth, for more than six weeks – was finally called off. Despite over ten planes taking part in the search, nothing from the missing aircraft was found. A scaled-down search by ships and submersible vessels will continue for an indefinite amount of time. GeoResonance, an Australian firm, says it has used spectral analysis from satellite and plane images to detect the presence of aluminum, titanium, and copper in the Bay of Bengal, which it says is from a commercial jet. 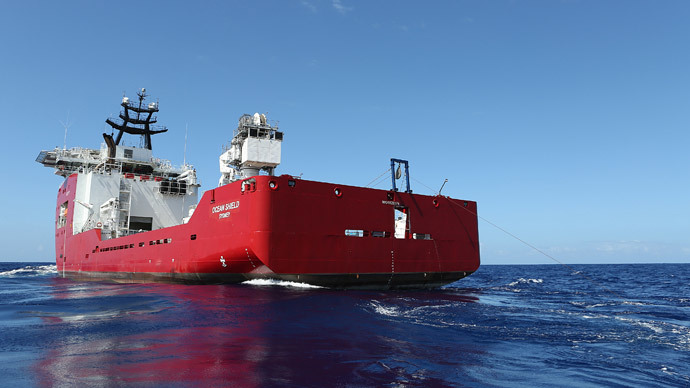 But with the search area in the southern Indian Ocean yielding no results, investigators have to take all claims seriously. Bangladesh has sent two navy ships to the location in the Bay of Bengal cited by GeoResonance. “I think at this point, because of the lack of results where they’ve been searching for weeks, they’re almost stuck. They have to go look,” said Mary Schiavo, a former inspector general for the US Department of Transportation. 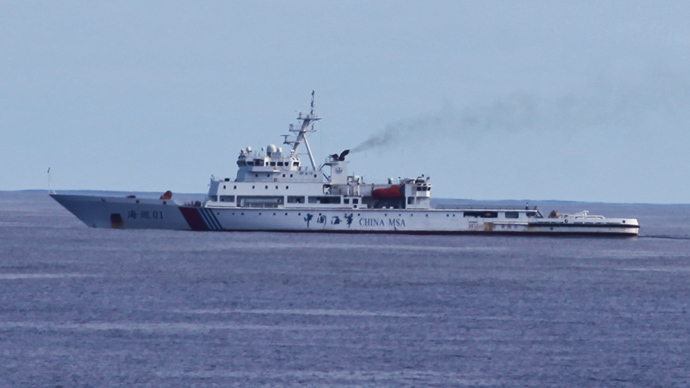 The search began in the South China Sea between Malaysia and Vietnam until it was revealed by satellite data that the missing plane was still airborne for seven-and-a-half hours after it lost contact with air traffic control. After this, researchers analyzing the data said the plane most likely came down somewhere in the southern Indian Ocean, off the coast of Australia. 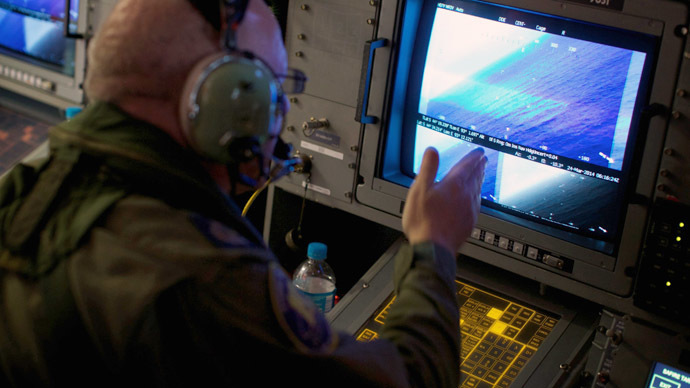 A new search then began, coordinated by Australia and involving planes and ships from eight nations – Australia, New Zealand, Britain, Malaysia, the US, Japan, South Korea, and China.